Kicking off the official week long celebration, was Wanted Design. In its second year in an expanded space in the Terminal Store building, this fair serves “as a creative and convivial platform to bring together international designers, architects, interior designers, craftsmen, editors, manufacturers, curators and communication specialists.” After attending opening night on Friday, I thought I would share a few of my favorites. 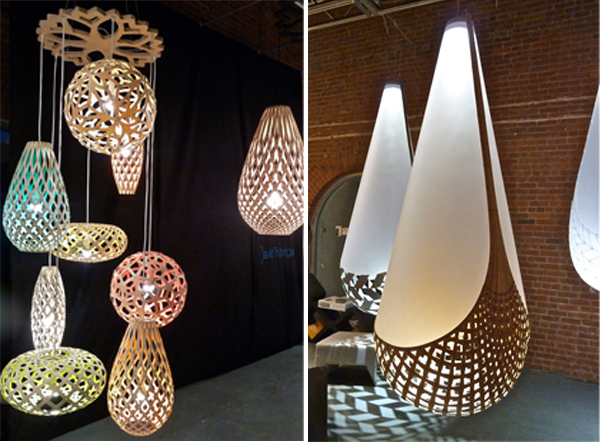 Innovative New Zealand designer David Trubridge‘s beautiful lights are both visually stunning and environmentally friendly. In addition to showing more of his iconic large scale fixtures, this year his distinctive line saw the inclusion of much smaller lights, more appropriate for apartments, and the introduction of outdoor fixtures made of anodized aluminum. 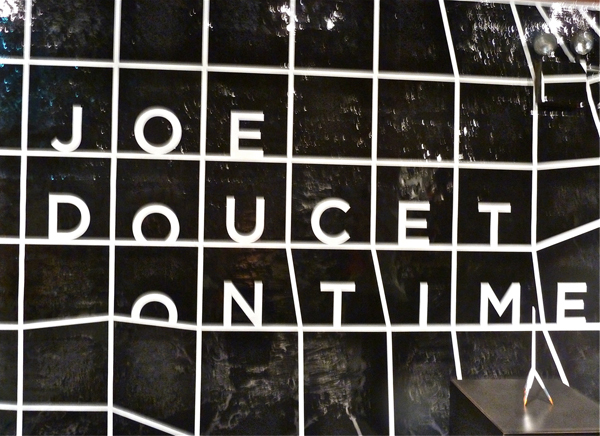 Joe Doucet‘s “On Time” exhibit explored the conceptual notion of time as a physical manifestation. 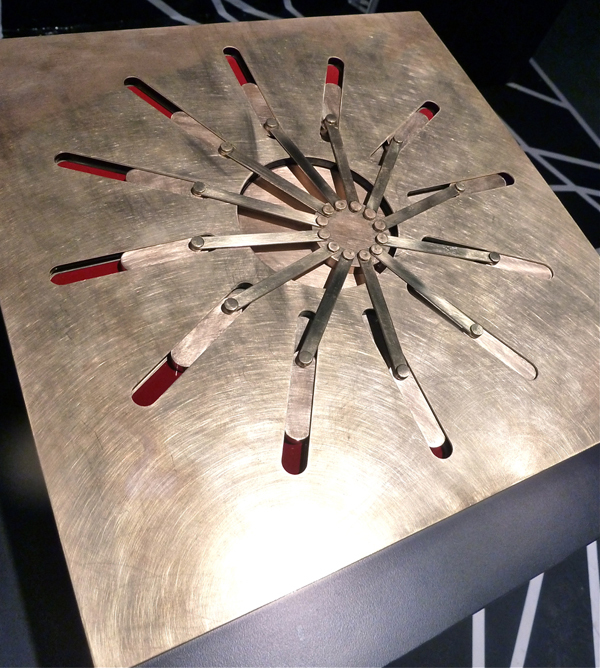 Presented through a series of objects, I felt Timeframed was his most successful piece. A nostalgic mechanical device, it expresses the passage of time through pattern and motion. It takes exactly one minute for the machine to make a single revolution through a series of movements that are both elegantly engineered and significant in their interconnected nature. Voos is a capsule collection of locally made designs, based in Williamsburg, Brooklyn, NYC. 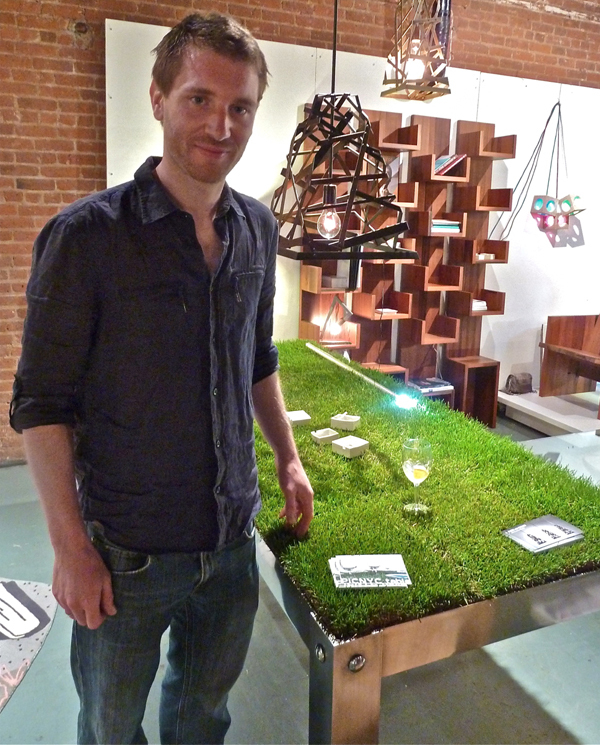 Dutch architect Haiko Cornelissen is shown below with his fun picNYC table made of lightweight aluminum. Filled with grass at the show, it could contain a variety of other materials such as stones or sand etc. The founder of Work and Design, Rafael Avramovich, also exhibited through VOOS. 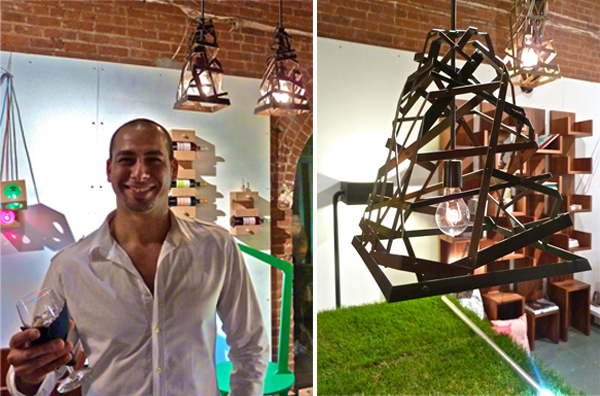 His Harmonious Existence lighting collection represents the concept of living in peace throughout the world. The precise metal fabrication and attention to detail result in industrial-like fixtures with lively geometric movement. 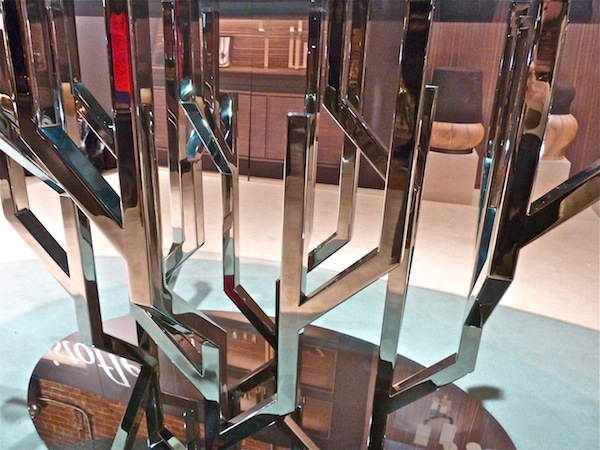 One of several more mainstream exhibitors, Christofle was celebrating new collaborations and the soon-to-be-opening of its luxurious newly redesigned Madison Avenue location. Christofle has a long history of associating with renowned artists, from Man Ray and Cocteau to Gio Ponti. The intricate floral Jardin d’Eden represents a recent collaboration with Dutch artist Marcel Wanders. The new store will be executed by designer Stéphane Parmentier, whose elegant concept for the space incorporates his collection for the brand and makes reference to Ponti’s iconic creations from the 1920’s. 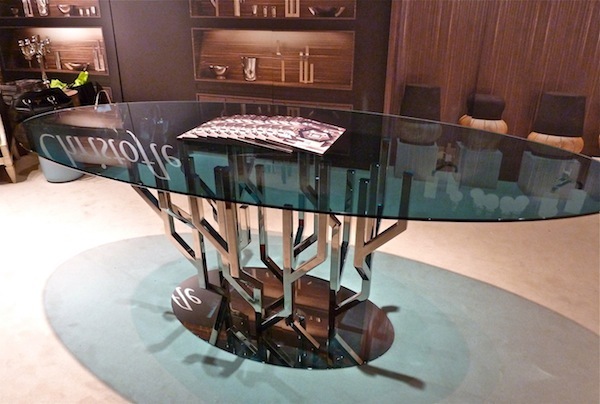 New pieces that will be showcased include designer Ora-ito‘s Arborescence table. 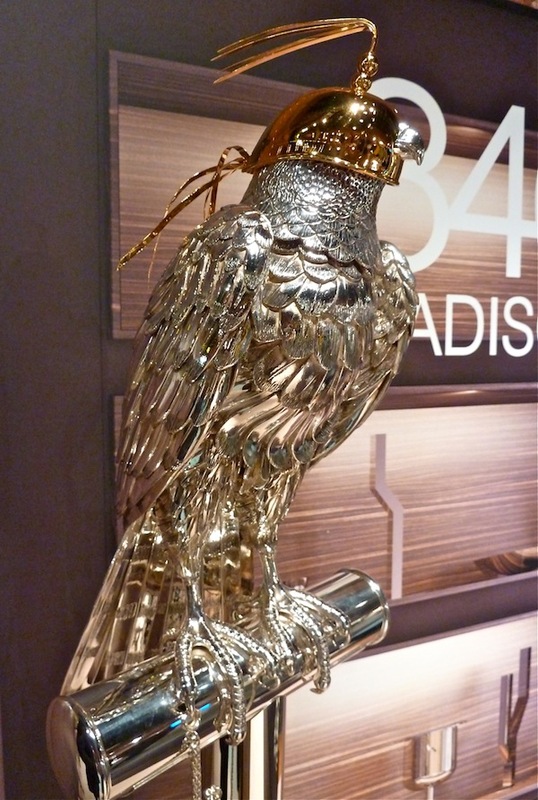 and perhaps this falcon, introduced in 2009 as a collectible piece as an homage to the tradition of decorative wildlife sculpture popular in the 19th century. With incredible detail, this limited edition of 100 features a removable gilt helmet. Danielle Trofe‘s Live Screen made its debut at the show. 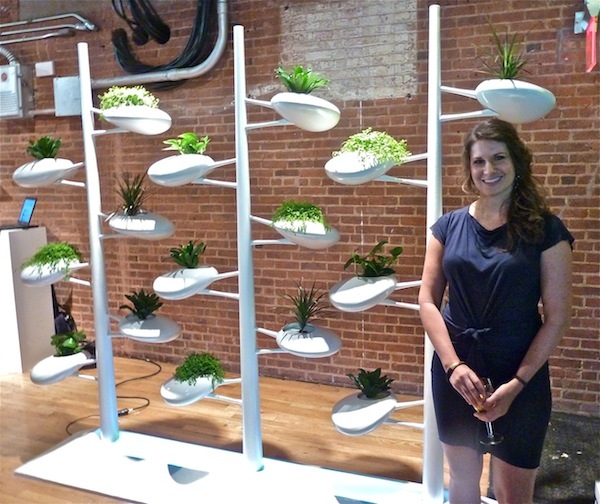 This self-sustaining planter system harnesses hydroponic technology, making indoor gardening a breeze. 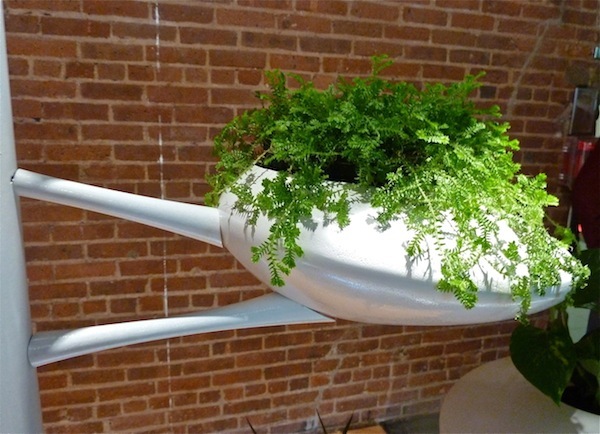 A perfect melding of art and nature, I thought it a clever, charming possibility for those “seeking a greener lifestyle. In this shot you can’t see the embedded LED lights in the base which offer a beautiful ambient glow. While the screen looks like a ceramic sculpture, it is actually a lightweight material, making it much easier to install and maintain. The base and vertical poles are constructed of powder coated aluminum and steel and the pods are a plastic/resin blend. A 2012 addition to Wanted this year was the New Finnish Design CITY lounge which presented a selection of design products from Finland centered around the theme of urban life. There seems to be a resurgence of interest in the strong legacy of design from this Scandanavian country. 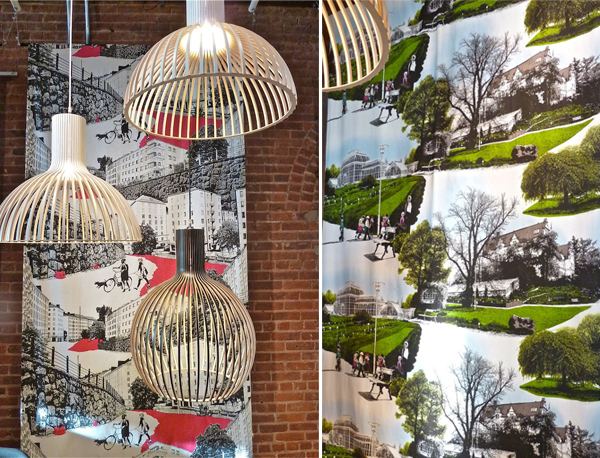 I particularly liked the bent plywood lighting from Secto Design (distributed in the US by Global Lighting) and the graphic and colorful textiles of Vallila Interior. While Wanted may be over for this year, be on the lookout next spring for this international design event – it appears to be growing by leaps and bounds. This entry posted in art, design, furniture, interior design, technology. Entry Tags: art, Design, Haiko Cornelissen, interior design, Joe Doucet, Lighting, New Finnish Design, New York Design Week, Secto Design, Vallila Interior, VOOS, Wanted Design 2012 Bookmark the permalink. I love the first series of lighting as well. How gorgeous to have three of the smaller pieces grouped together in an apartment. 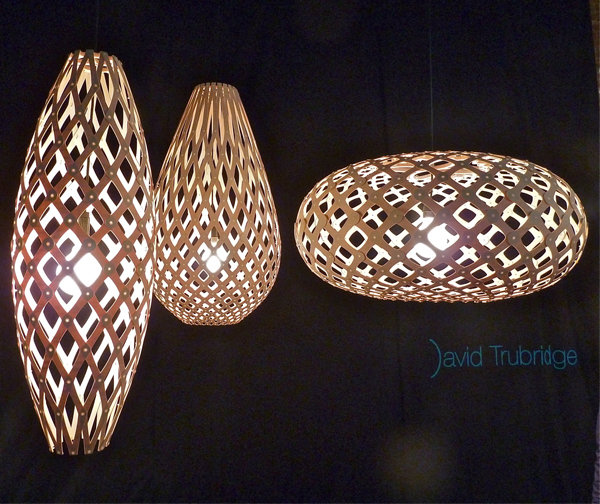 Ok those table lamps by David Trubridge are amazing. So many wonderful things to see, love Danielle’s live screen too. Have fun in the city this week. Such amazing talent and creativity! The table and that falcon are fantastic! Any chance you might include a reference to Surtex? Maybe it’s a stretch from these shows…but it IS design at the source! It was a good show full of lots of color and some great new talent! Those hanging lighting fixtures !! Love all this new stuff. I love to see beautiful and original pieces, and you have shown them here, Stacey! 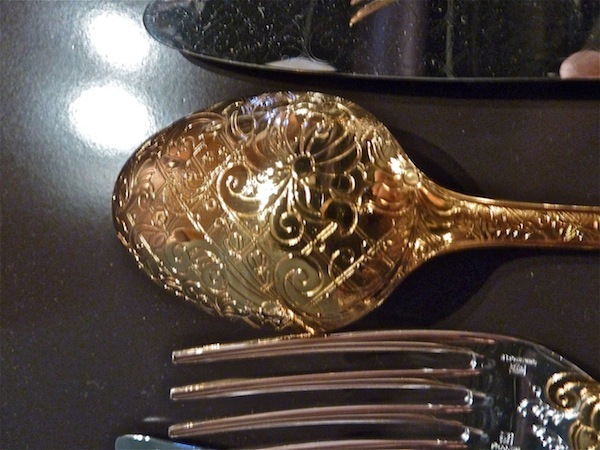 Christofle’s pieces leave me spellbounded every time I see something new. 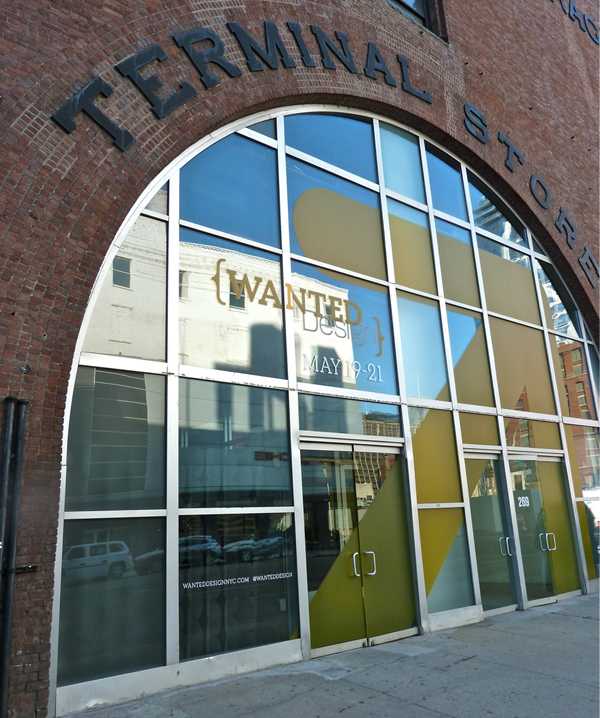 I love the fact that I feel as if I’ve visited Wanted without leaving my chair! That planter is amazing and even my black thumbs are intrigued… Missed you last night at the IDA’s. Oh that falcon is incredible. The Secto Design lighting has such a vintage vibe to it. Reminds me of a pendant we have that was original to our home, one of the few things we kept – ours is metal but same style, really like it. What a fantastic week. I love to meet artists and soak up the ambiance of such a great group of people! Thanks so much for sharing. 78 queries in 0.582 seconds.